Mrs. Kroes: Will You Let Them Control the Net? Today, European Commissioner for the Digital Agenda, Neelie Kroes, met1http://www.europolitics.info/sectorial-policies/kroes-to-meet-telecoms-ceos-art309779-12.htm with the CEOs of corporations acting towards more control over internet communications, to discuss the future of Internet policy. After misleadingly pretending there is no problem with operators restricting Net neutrality, and her choice not to protect freedom of information online… will Mrs. Kroes let dominant actors alter Internet’s architecture? 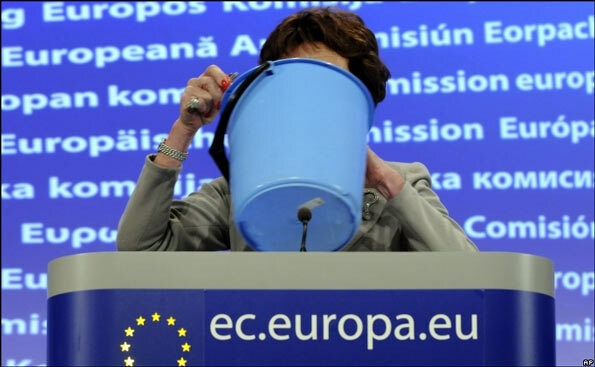 During her confirmation hearing2http://www.laquadrature.net/en/commissioner-kroes-commits-herself-to-net-neutrality before the European Parliament, Commissioner Kroes made unequivocal statements against commercially motivated anti-Net-neutrality practices. One can wonder today if these words were just political rhetoric. In spite of her liberal stance, Commissioner Kroes now seems willing to let big companies control the network and its architecture to complete short-term economic goals at the expense of competition, innovation and freedoms online. A first meeting was held in March. See: http://europa.eu/rapid/pressReleasesAction.do?reference=MEMO/11/135 with the CEOs of big telecom operators6Such as Orange, BT, Vodafone, hardware manufacturers7Companies like Cisco and Alcatel-Lucent, content and service providers who work towards restricting access8In March, Facebook and Apple were invited to the meeting. For the full list, see: http://europa.eu/rapid/pressReleasesAction.do?reference=MEMO/11/135. “Was Mrs Kroes faking her liberal position before the Parliament, or is she deliberately handing over an undue power to a few industries to control competition at the expense of fundamental freedoms? Disturbingly, the innovators, artists and entrepreneurs of tomorrow are not invited to the table, and yet they are the ones who generate growth and innovation on the Internet. After the French parliamentary report which proposed strong protections for online freedoms, and after the adoption of a law protecting net neutrality in the Netherlands, Commissioner Kroes must take action! ” declared Jérémie Zimmermann, spokesperson for citizen advocacy group La Quadrature du Net.